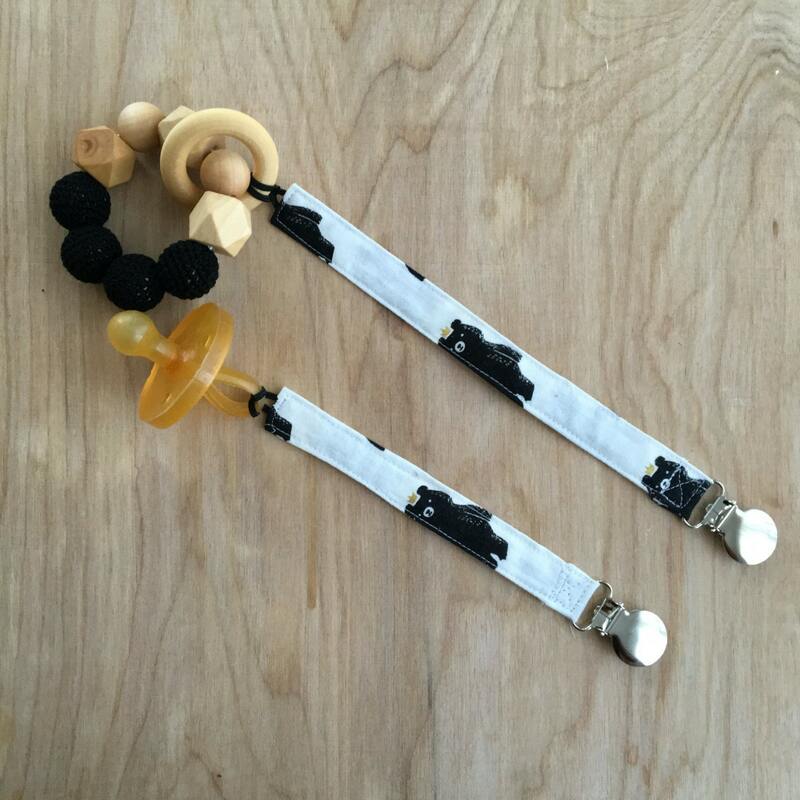 These pacifier clips are absolutely perfect for keeping baby's pacifier off the ground! Can be clipped to clothing, stroller, toy, baby carrier, etc. This pacifier clip is made from all cotton fabric. The alligator clip is metal (nickel-plated) and has plastic teeth. Pacifier is secured in using an elastic loop, making it able to work with any brand pacifier (nuk, soothie, mam, gumdrop, etc.). The elastic loop is great because it's more durable than ribbon. Shortie clips measure approximately 3/4" wide and 7" long, perfect size to keep a crawling babe's pacifier off the ground. Long clips measure approximately 3/4" wide and 9" long, perfect for attaching toys to the stroller.